As a result, they feel more confident about their monetary solidarity for the golden days. According to the Navy Federal Credit Union's recent survey, military millennials are more prepared for financial challenges as compared to their non-military peers. These group of millennials have been actively pursuing a set of established financial goals and are equipping themselves with the right amount of nest eggs for long-haul. As a result, they feel more confident about their monetary solidarity for the golden days. What results were brought to the fore from the survey? Navy Federal Credit Union's survey took into account 300 millennials currently employed with the country's armed forces, whereas 1,011 participants belonged to the general masses. 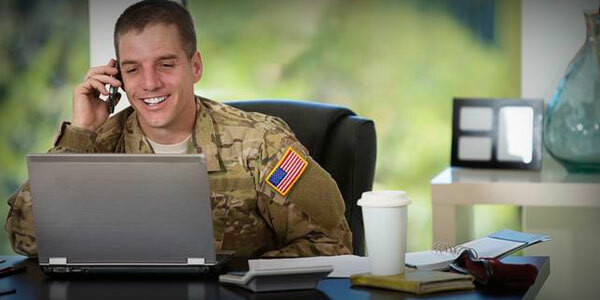 From the survey it was found that active-duty defense personnels were more diligent in starting off with their retirement plans in comparison to their civilian counterparts that accounted 66 percent versus the 49 percent, respectively. Not just that, these defense personnels were more forthcoming in acquiring financial knowledge which they deemed necessary in order to achieve their set financial goals. This was recorded as 58 percent for the defense personnels versus 37 percent for the civilians participants. Moreover, military millennials are found to be more active with respect to sticking to their financial targets like a five-year money goals. The scores were 89 percent (armed forces personnels) against 78 percent (civilians). Interestingly, military millennials, as witnessed from the survey, have twice the dedication to review their household budget as well as twice likelier to have a copy of their credit reports checked, at least once a year. In the words of Randy Hopper, Vice President of credit cards and business optimization associated with the Navy Federal Credit Union, when people aged between 18-21 years join the military, then they are placed in a situation where there is no other way out but to mature in more ways than one. And one of the most important of them is financially. One of the impressive trends spotted from the survey was that millennials - both civilians as well as military, have started taking their financial lives seriously and have made strong inroads toward financial emancipation. This has mainly happened after the conclusion of the Great Economic Recession of 2007. These are the people, as already said, belong to a very vulnerable age group, 18-37 years. A whopping 80 percentile of the total participants of the survey has said that they are hope to achieve their financial stability in the next five years to come. Members of financial fraternity opine that millennials must be counseled regarding the nuances of managing their personal financial lives the right ways. For this, they plan to keep up the steam to inspire millennials to start off with the use of credit cards. This would be the baby steps to learn the ropes of smarter credit management, the financial experts say. Now, the onus lies upon the financial experts to guide these greenhorns to the right monetary pastures, or else, they would once again contribute to the dismal economic condition of the country. However, credit cards be turn out to be a risky affair. If they are used responsibly, then that can help them establish good credit rating. But, if they are misused, then the same plastic can become invite a host of debt problems. Use credit card tools - Credit card companies have floated online interfaces for the ease of their consumers. As a result of these interfaces, you could keep a close watch on your expenses and even get alerts the moment you inch closer to your budget in a certain category. This is no doubt a smarter way to curtail unnecessary expenses and hence, avoid debt. Put a cap on balance - According to financial experts, it is best to keep your credit card balances at not more than 30 percent with respect to your card's credit limit. This way you'll be able to keep your expenditures manageable and keep debt troubles at bay. Set up your credit history - Credit card use can help you build up your credit history. In order to buy a home, car, or insurance policy, you'd be asked to provide a copy of your credit history. And keeping that in mind what better way to build a strong credit history than credit cards itself? You'd learn how the credit process works and you'll have a valid document to showcase your creditworthiness to the lenders. Besides that, you need to keep learning about newer ways to manage your money as well as your financial obligations. This way you will always be in control of your financial life and not the other way round.